1 - Visit the account creation page and complete the signup form. 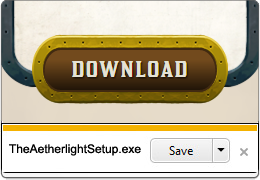 If you already have an account you can click "Download the Aetherlight" underneath then skip to 3. 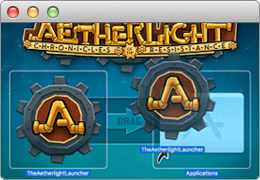 4 - Open TheAetherlightLauncher. This will begin downloading any updates and game patches that we have released. 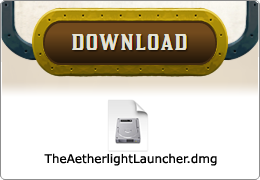 5 - Once the Launcher has finished downloading updates, click the purple "PLAY" button. You will now be at the login screen in the game client. 6 - Login using the username and password you chose in step 1. You should now have the option to customize how your player looks. Please choose carefully as this is not able to be modified later. 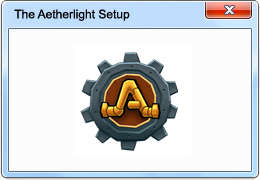 The next time you want to play The Aetherlight, you don't need to repeat steps 1 - 3. Just start from step 4! Note: If you have already downloaded and installed the game previously, you can create a new character from within the game client. 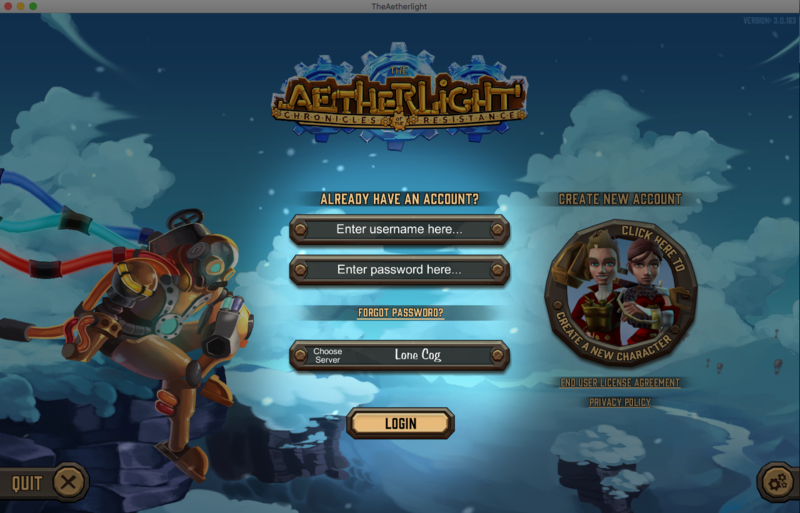 Simply open The Aetherlight and when you are at the login screen there will be a "Create New Account" button to the right of the screen. Choose this to create another player account. This may be useful if you have multiple children / a sibling who also wants to play! 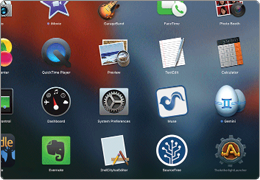 1 - Visit the correct store for your device - Apple | Android and follow the standard install procedure for your device. 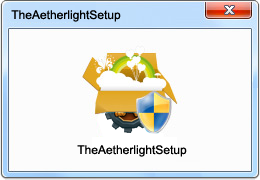 2 - Once installed, open The Aetherlight. You will now be at the login / signup screen. 3 - Choose "create new character" on the right hand side, and choose how your character looks. Please choose carefully as this is not able to be modified later. 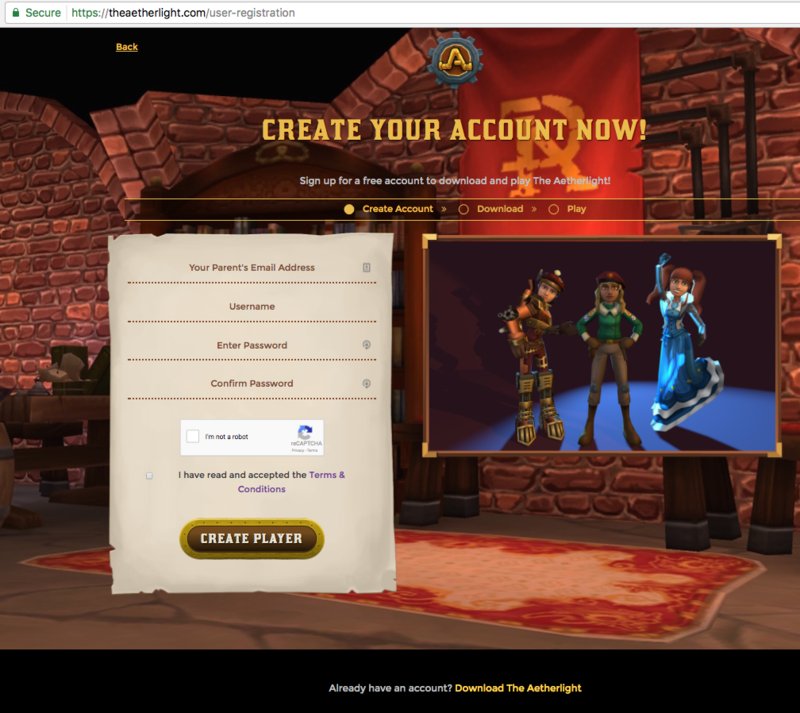 The first screen after clicking "Create New Account" is the Character Customization screen. You can change the look of your Character with the little tabs to the right of the screen as well as change your avatar from boy to girl, you will also choose the name of your character here. Note: Once you create your account you won't be able to change the base look of your character again so make sure it looks just like you want it to! The second screen is all the account information, here you fill in all information you need to have to setup the account: Username, email address and password. Note: You should keep your password secret from everyone online, even us! We do not require your password if you need to contact our support staff. 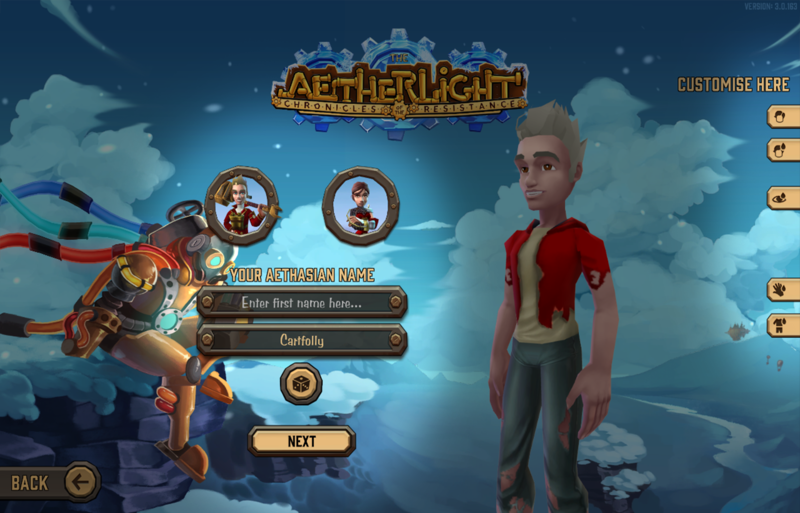 After this screen, you should be Aetherstepped right into the game to start your adventure! Note: Accounts require verification (so we know you're a real human with a real email address) so please check the email address you signed up to complete the verification process. Unverified accounts are disabled after 7 days. What about a Parent account? Do I need one to play? A Parent Account is a functionally different account that can only be used to manage player accounts associated to it. 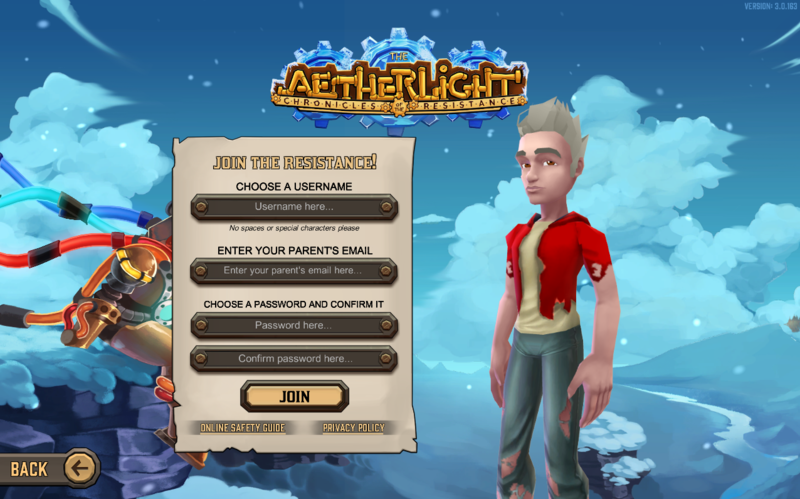 You cannot log into The Aetherlight game with a parent account. 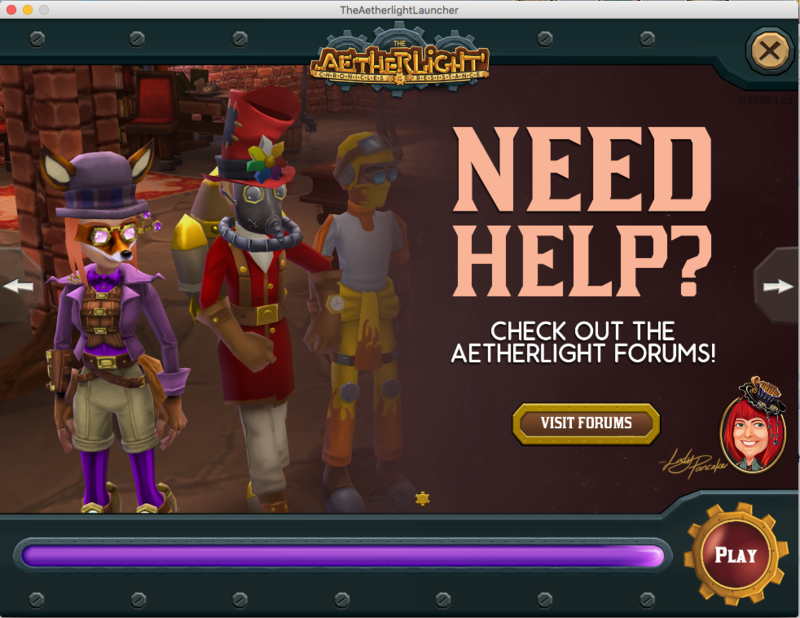 If you want to play The Aetherlight as a parent (which we actively encourage!) you will need to create a separate 'player' account following the method above. We cannot convert player accounts to parent account or vice versa. How do I unlock an Episode?